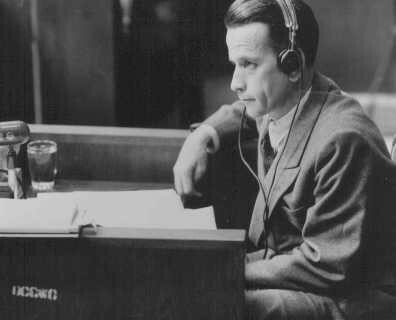 Waldemar Hoven, head SS doctor at the Buchenwald concentration camp, testifies in his own defense at the Doctors Trial. Hoven conducted medical experiments on prisoners. Nuremberg, Germany, June 23, 1947.